Summer? Spicy? Curry? 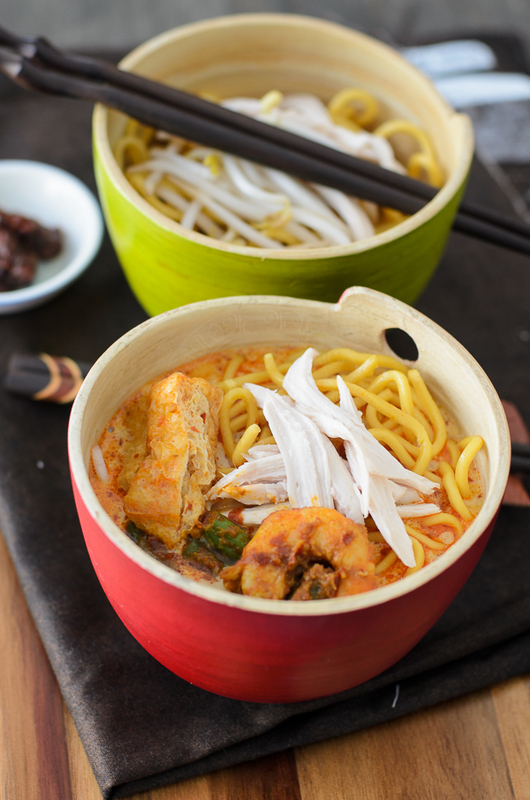 Curry Laksa or known as Curry Noodles? ... hmmm not the best combination ever!!! 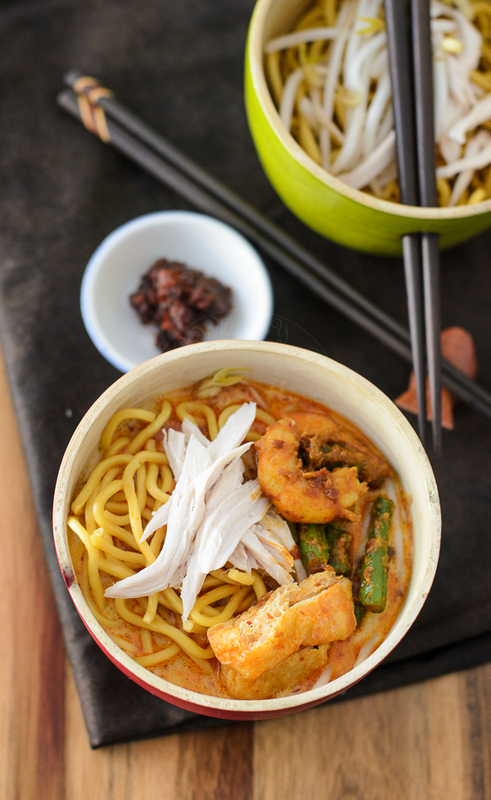 ... long list of ingredients and steps to make this scrumptious meal might be a little bit daunting, a bit too much work but after eating home cooked ... cooked with love curry noodles... you wouldn't want to eat out ;P... plus you can go for second...third helping too. Blend ingredients A to fine paste (may require adding a little bit of water/oil to assist the blending). Blanch cooked Hokkien noodles in hot water for 1 minute (to get rid of oil coating the noodles). Drain and wash under cold water. Place about a handful of noodle in a bowl. Ladle soup, and top with condiments : beansprouts, prawn with beans, cooked chicken and chilli paste. So appetizing and delicious! There ain't tofu there? Thought that fried slice next to green bean is the tofu..
Mouthwatering! This is a dish I very much love. OMG, this looks so good! Love turmeric and cumin and all the listed ingredients mixed together! Such a decadent meal, Lisa!